Why I believe Tai Chi is the new yoga. Harvard medical cannot send me enough articles about Tai Chi. Titles such as “A sharper mind: Tai Chi can improve cognitive function”, “Discover the healing power of Tai Chi”, and “Proper posture the Tai Chi way” are filling up my inbox. I enjoy receiving these. It’s always awesome to have your beliefs confirmed by research. But to be honest, I am not surprised that Tai Chi’s has the ability to make us healthier, I’ve experienced it first hand. And at the heart of all this research, it shows that Tai Chi outperforms other types of exercises. – Elderly adults who practice Tai Chi 1-3 hours per week are 43% less likely to fall. The risk of injury is halved. – Reduces age-related cognitive decline, including dementia. – Improves mood; reduces anxiety and depression. – Reduces the effects of stress: lowering blood pressure & calming the nervous system. – Gaining more confidence with better muscle control and balance. – Reduces joint pain: back, neck, arthritis, and fibromyalgia pain. – Unlike some other types of aerobic exercise, Tai Chi can be practiced by everyone, including the injured and immobile, elderly. Tai Chi is a concept deeply rooted in Daoism, In fact, Tai Chi is the state before the Dao was born, where there was chaos. From the chaos of Tai Chi, Yin and Yang rise. Once that differentiation happens, 5 elements rise. And this is the DAO of the beginning of the universe. Want to read more about this? Start here. 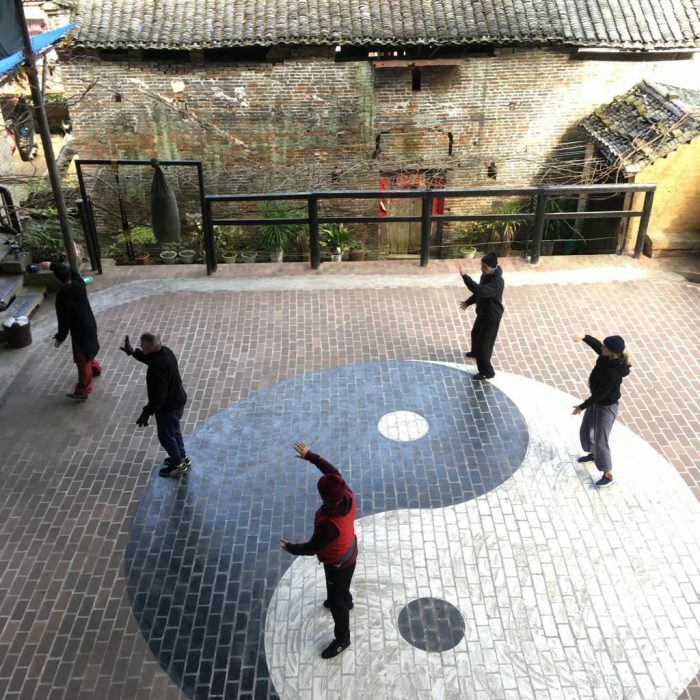 Tai Chi Chuan is ultimately an internal martial art that emphasises the cultivation of inner power and deep relaxation. 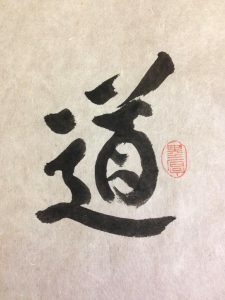 This distinction can be understood by comparing it to Kung Fu – an external martial art where the exertion of strength and power is the main aim. However, a lot of Kung Fu training actually includes Tai Chi and Qi gong in its training components. Qi gong, on the other hand, is developed as a part of Chinese medicine. It has as many diverse forms as there are rivers in China! Qi gong literally means “study” of Qi. It involves slow and natural movements that follow the breath and intention of the movements of internal Qi. Back in the day, an acupuncturist would prescribe different forms of Qi gong for patients; if you had asthma you would be prescribed Qi gong that opens and nourishes the Lung Meridian. – Isn’t it just for elderly people? Tai Chi is for everyone. You know how young I am, right? – Which style? Any. Just DAO it. – Where to find classes? Google it! Find someone or a group who practices near you. Find them and hang with them in the parks. But if you live near Redfern, Alexandria of Sydney, Project DAO has you covered. We have invited a qualified teacher from China to lead a workshop. To be honest, I really wanted to have the classes right at my doorstep! John, the teacher worked as an osteopath for 16 years. 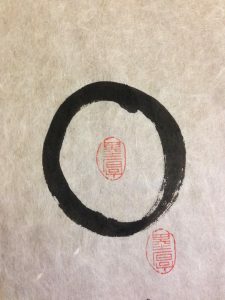 As a seasoned therapist as well as a fitness instructor, John brings a different viewpoint to Tai Chi, and is uniquely placed to present this beautiful eastern art to a western audience. If you’re intrigued, here are the details of classes that are happening in April. Classes are limited to 8 people. So you can get plenty of support from John, which is vital especially as you start on your Tai Chi journey. We hope to see you there. Copyright © 2018 Project Dao.